An absurdity is doing the rounds, saying there are $200 billion of ill-gotten gains stashed by Pakistanis in Swiss bank accounts. Not only that, we are told that “a director” of a Swiss bank has himself “stated on record” that $97bn of Pakistani money is parked in his bank alone, and that a former Swiss foreign minister has also “stated on record” that the total sum of money stashed by Pakistanis is close to $200bn. These are absurd figures, and anybody who knows about banking or diplomacy will tell you that no such statements can possibly be made by a responsible director or minister. But the news reports have attributed the words to the finance minister. When I asked the minister about the veracity of this number he denied ever having said such a thing. So where did these numbers come from? And why are they being attributed to the minister? Here’s what happened. Back in May of this year, Dr Arif Alvi of the Pakistan Tehreek-i-Insaf asked the finance minister about the “steps being taken by the government to bring back assets of the country which are illegally deposited in Swiss Banks; and whether there is any proposal under consideration of the government to take help of the 2010 Swiss Law, the ‘Restitution of Illicit Assets Act (RIAA)’”. The minister replied in writing that the government intends to take advantage of the RIAA but in order to do this the government needs to renegotiate the Pak-Swiss Tax Treaty currently in force. These negotiations are set to begin on Aug 26. That’s all. But the minister’s reply was furnished in writing, in his absence, by the Parliamentary Secretary for Finance, Rana Mohammad Afzal Khan. The good secretary decided to go on the record himself, and speaking on behalf of the finance minister threw out the two additional bits of information on his own. The next day the headlines zoomed in on the $200bn figure. When reporting the exchange one paper attributed the statement to “the government,” another attributed it to the secretary by name, and a third followed an older reporting convention and attributed it to the finance minister himself, since the secretary was speaking on the minister’s behalf. And then we had a salacious cocktail. And where did the secretary get his information from? He should tell us. For my part, the earliest mention I find of the $200bn figure is back in 2010 in an article by a pair of regular writers in a leading business daily of Pakistan. The article had an exciting headline: “Swiss ‘Return of Illicit Assets Act’: We can get billions back!” where, in one line, the authors blandly stated that “[a]ccording to an estimate, the money lying in Swiss banks of Pakistanis (sic) is to the tune of US $200 billion…”. Which estimate, by whom? We are not told. Then in June, 2011, a leading TV anchor picked up the figure and dedicated a whole show to it. One of the authors of the original article was the lead guest. Nowhere in the entire show did the anchor think of asking where she obtained the figure from. A few months later a dodgy wire service carried a news report headlined “Pakistan has $97 billion in Swiss banks” and attributed the figure to an unnamed director in a Swiss bank, giving its source as “messages being sent on the cell phones.” So SMS messages being forwarded around somehow got picked up by this wire service and turned into a news story. Once the story went out over the wires, two small papers picked it up and ran with it, giving it a place in the regular news flow. Today, we’re hearing these numbers repeated almost every single day. In the last one week alone, for instance, half a dozen news outlets, large and small, have reported them. And just yesterday the leading business daily which first carried the figure dedicated its lead editorial to the issue, castigating the finance minister for having “vowed to bring back the $200 billion banked in Switzerland by Pakistanis” because it “raises expectations,” but not questioning the veracity of the number itself. Yet, a quick search is all that is required to demonstrate that the number is garbage. On its website the Swiss National Bank actually provides a geographical breakdown of the assets and liabilities of all 80 banks under its supervision. The data shows that “amounts due” to customers from Pakistan in 2013 is just over one billion Swiss francs. The exchange rate is $1.10 to a franc. Now do the math. It’s equally easy to see where the authors of the original article went wrong in generating their figures. 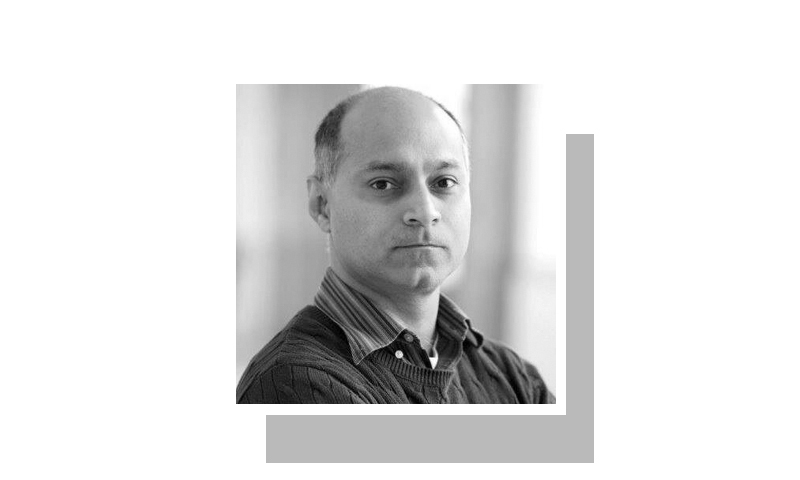 Take, for example, the fifth piece they wrote on the matter, which appeared on July 25 in the same leading business daily, where they rely on a story from the Times of India to give a brief history of the amounts held in Swiss banks by Pakistanis. In one place they write that in 2010 this amount hit a “record low of 195bn Swiss francs”. But in the original Times of India story that they cite as their source, this figure is given as 1.95bn francs. Apparently a decimal point fell off during the cut and paste operation. In another place they have converted 3bn Swiss francs into $418bn, again with the decimal point as the casualty. It’s a pity that this absurd number has been allowed to circulate in the news flow for this long without anyone asking after its veracity. But it’s a bigger pity that absurdities of this sort can turn the serious matter of retrieving ill-gotten gains into a joke. Naming and shaming with concrete evidence is what any responsible government can do. It is almost impossible to bring back any money. Egypt , Libya, Philippines, Chile have all tried and failed. It is good to have laws in Pakistan(who cares about the law and order anyway) but totally different in the other country. They are not obliged to honor our laws. The number declared by the Swiss National Bank may not have included the assets of Pakistanis with other countries' citizenship. Nevertheless, this indicates the culture of misrepresenting the facts without proper sources rampant in our media, be it print or electronic. That's why I like dawn over other news papers. Thanks for the clarification and the concluding line. It nailed the issue. Brilliant. Just today was discussing with someone that this $200bn figure looks ridiculous. Glad you clarified. About time someone investigated this absurd figure of $200 bn. Now, if someone could similarly investigate the absurd numbers that are being thrown around about Thar Coal and the Reko Diq mines. im not very sure that this matter of Swiss accounts will either die down or less likely be solved, in our life time. realistically why should, a bush to beat when ever it is convenient for the govt or opposition of the day to divert the nation's attention. therefore why to find out the exact source of the speculations on $ 200 bn, since it serves to purpose of confusion so very good. Switzerland is a "fence" country. As such it should be considered as a criminal nation by non-western countries. Incidentally, for those ignorant of the term "fence" it is the place where thieving items and other ill gotten gains are brought to.